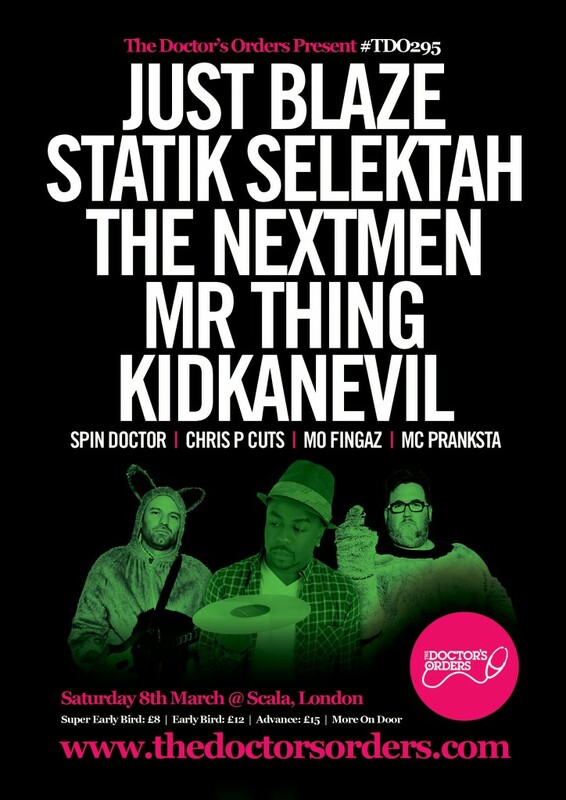 The Doctor’s Orders returns to Scala with another phenomenal line up of the best names in Hip-Hop. NYC super producer Just Blaze is responsible for many of Jay-Z’s classics as well as huge tracks for the likes of Eminem, Busta Rhymes, TI, Janet Jackson and LOADS more. He is no slouch on the decks either! We have also added Joey Bada$$’s DJ & good friend of The Doctor’s Orders in Statik Selektah an incredible talent on the decks that never fails to get the party bumping. Add to that party starters extraordinaire The Nextmen and the UK’s best Hip-Hop DJ, Mr Thing who now exclusively spins club shows only for The Doctor’s Orders and you are literally not gonna see or hear a line up like this anywhere else! H.O.O.D Fellaz are back… and they are back for the last time! Not in the way that it’s their last release but in the way that they are never leaving the game again… this is the last time they are back!!! With over ten years experience in the music game, H.O.O.D Fellaz (HF) came to the attention of urban music lovers when their music video ‘Myflo’ dropped on Channel U which was followed by their classic debut mixtape ‘So Far So Hood’. It was this release that cemented them in the music scene with a string of taste-makers championing their sound. After a string of features on leading UK mixtapes HF continued to work hard releasing music videos and collaborating with various artists. In 2007 HF met up with mixtape deejay Tricksta, where it was decided that a full UK Runnings mixtape release should be recorded. The result was the 2011 mixtape release ‘New Years Resolution’, a fourteen track release that featured guest verses from Big Cakes and Raggo Zulu Rebel which was nominated for a OMA (Official Mixtape Award). 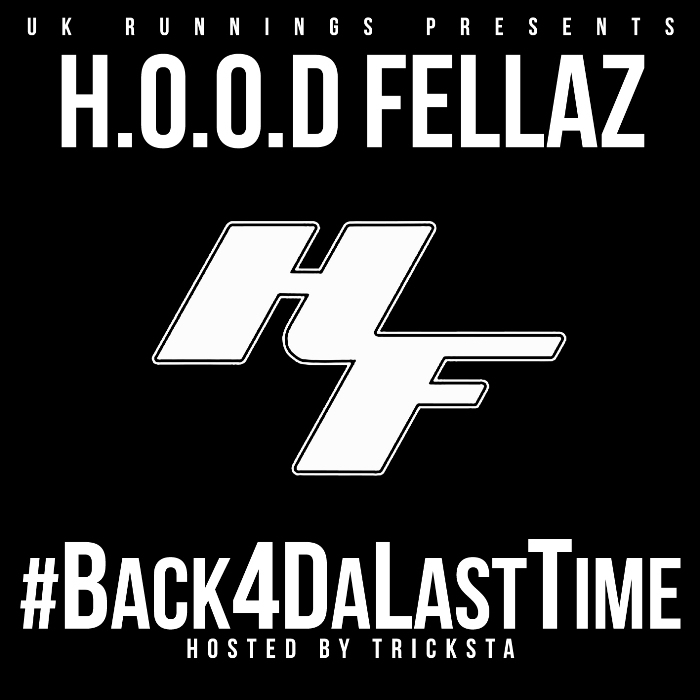 Now in 2014, HF release their brand new mixtape ‘#Back4DaLastTime’ hosted by Tricksta, a deejay who has done official mixtapes with the likes of French Montana, Red Café, Sheek Louch, Papoose and more. You’ve seen the videos on leading UK Rap channel UK Overstood already, but now it’s time to enjoy the full fourteen track mixtape excursion. The line-up for H.O.O.D Fellaz might have changed a few times, but the message hasn’t. Core members Caeza, Trigz, Sherman Blacks and Lullaby are still representing fully along with new member Tints, and they are still about unleashing quality over quantity. HF are back and back like they never left… thank goodness it’s for the last time.